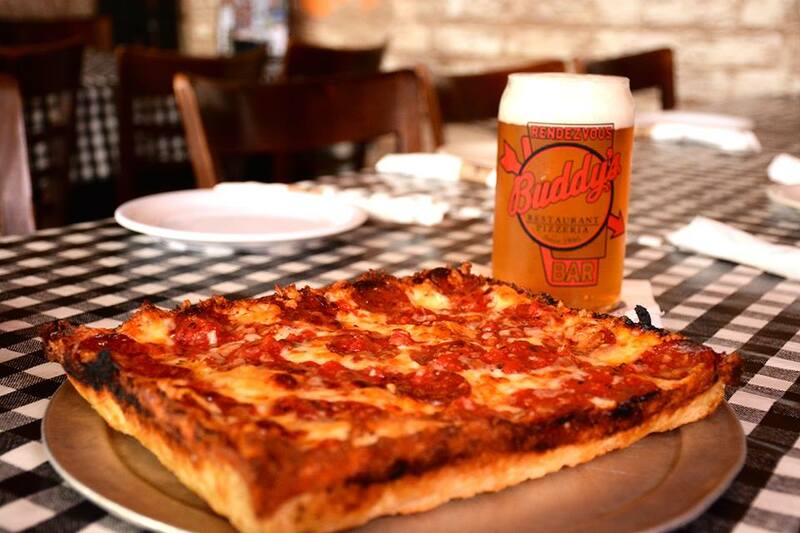 Deadline Detroit - Is Buddy's Pizza Ready to Cross State Lines Into Chicago? Is Buddy's Pizza Ready to Cross State Lines Into Chicago? Buddy’s Pizza got a jolt of cash from investment firm CapitalSpring last year to expand beyond Southeast Michigan and into the Midwest. So far, the farthest move has been Grand Rapids. The popularity of Detroit-style pan pizza, a cousin of Sicilian-squared pies, continues to grow outside of the Motor City. That includes Chicago where local pizza makers including Paulie Gee’s (Logan Square), Union Squared (Evanston, Wrigleyville, the Loop), and Fat Chris’s Pizza and Such (Andersonville) have already introduced the city to the caramelized edges and melted Wisconsin brick cheese that help define the pizzas. The Detroit chain that created the style, Buddy’s Pizza, hasn’t yet announced plans to open in Chicago, but they’re inching closer. Last month officials introduced plans to open a restaurant in Grand Rapids, Michigan. That location, slated for a spring opening, is the Buddy’s farthest away from Detroit — less than a three-hour drive from Chicago. Houck notes that some other Detroit restaurant chains like Leo's Coney Island have ventured into the Windy City, only to fall flat.